No sooner has the snow melted from Hollywood’s Sundance boots does Texas come calling, with a first glimpse of this year’s SXSW Film Festival slate announced on Wednesday. 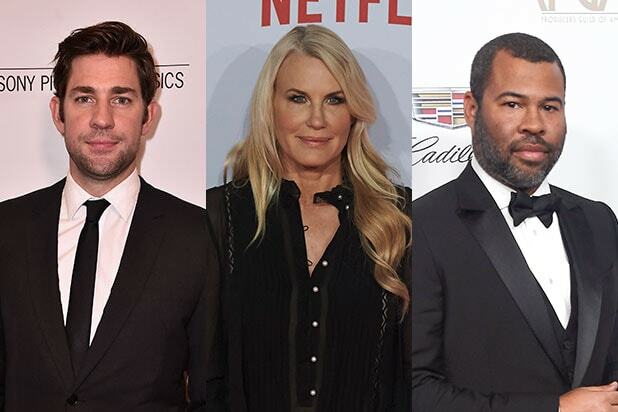 John Krasinski’s anticipated horror-thriller “A Quiet Place” will open the festival, in what SXSW’s Director of Film Janet Pierson told TheWrap was an “ambitious, exciting” evolution in the star’s career. Director-star Krasinski recruits wife Emily Blunt for a tense narrative about a family that must stay silent for survival. In addition to 86 world premieres — that includes an indie musical from writer-director Daryl Hannah starring Neil Young and Willie Nelson — SXSW will feature an expanded program of episodic TV. The delayed, but much anticipated “The Last O.G.” from creator Jordan Peele and stars Tracy Morgan and Tiffany Haddish, will premiere in the beefed-up category. Bill Hader’s “Barry,” about a murderous loner who finds a community in the L.A. theater scene, will also premiere. Additional premieres and SXSW’s anticipated Midnights section will be announced in the coming weeks. The SXSW Film Festival runs this year from March 9-18. Midnighters, Shorts, Virtual Cinema, Independent Episodics, Title Sequences, Music Videos and late-breaking Features will be announced on February 7. All feature categories, with the exception of Special Events, will be eligible for category-specific Audience Awards. The Narrative Feature Competition includes: Family directed by Laura Steinel; First Match directed by Olivia Newman; Jinn directed by Nijla Mu’min; The New Romantic directed by Carly Stone; SADIE directed by Megan Griffiths; Shotgun directed by Hannah Marks and Joey Power; Summer ’03 directed by Becca Gleason; Thunder Road directed by Jim Cummings; The Unicorn directed by Robert Schwartzman; Write When You Get Work directed by Stacy Cochran. The Documentary Feature Competition includes: Chi-Town directed by Nick Budabin; Garry Winogrand: All Things are Photographable directed by Sasha Waters; The Gospel of Eureka directed by Michael Palmieri and Donal Mosher; ¡Las Sandinistas! directed by Jenny Murray; People’s Republic of Desire directed by Hao Wu; Social Animals directed by Jonathan Green; This One’s For The Ladies directed by Gene Graham; TransMilitary directed by Gabriel Silverman and Fiona Dawson; Weed The People directed by Abby Epstein; and The World Before Your Feet directed by Jeremy Workman. A selection of other highlights include: The Bill Murray Stories: Life Lessons Learned From A Mythical Man directed by Tommy Avallone; Blockers directed by Kay Cannon; Boundaries directed by Shana Feste; The Dawn Wall directed by Josh Lowell and Peter Mortimer; Fast Color directed by Julia Hart; A Little Wisdom directed by Yuqi Kang; Nossa Chape directed by Jeff and Michael Zimbalist; Paradox directed by Daryl Hannah; Profile directed by Timur Bekmambetov; A Quiet Place directed by John Krasinski; A Vigilante directed by Sarah Daggar Nickson; Wild Nights With Emily directed by Madeleine Olnek. In Episodics: Barry directed by Bill Hader; The Last O.G. directed by Jordan Peele, Warriors of Liberty City directed by Evan Rosenfeld and Andrew Cohn; Vida directed by Alonso Ruizpalacios and So Yong Kim.